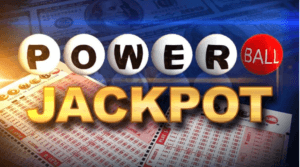 One winning ticket was sold in Wisconsin for the March 27, 2019 Powerball $768 Million drawing. The winning ticket for this draw was apparently sold somewhere in Wisconsin. Currently, the identity of the winner is unknown. They have yet to come forward to claim their prize. Prior to this draw, the jackpot prize was last won December 26, 2018. The lucky winner can take home up to $477 million as a single cash payout, or opt for the annuity payment of the full prize in 30 payments over 29 years. A portion of their winnings, around $38 million depending on how the prize is paid out, will go back to the state of Wisconsin. They have 180 days from the date of the drawing to claim their prize. The Speedway store in New Berlin, WI where the winning ticket was purchased also stands to win. The retailer will also receive a $100,000 tip once the winner has come forward to claim their prize. US Powerball is one of the world’s most popular lotteries, and for good reason. It’s a rollover lottery, which means that if no one wins the previous jackpot, the prize money will rollover into the next one. Jackpots start at $40 million and have reached as high as $1.58 billion in the past! Powerball is a multi-state lottery playable in 44 US states, Washington DC, the US Virgin Islands, and Puerto Rico. You can also play Powerball online if you live outside these territories.